To rock and recline at the end of a long day or on a lazy Sunday afternoon is simply divine! 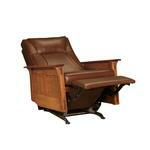 Treat yourself to our Amish McCoy Mission Rocker Recliner in your living room, reading nook or den. 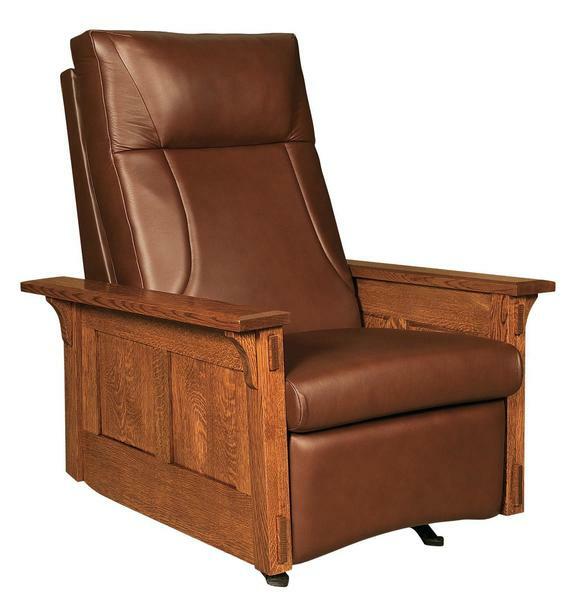 Wrap yourself in comfort with this luxurious rocker recliner that showcases the beauty of premium hardwood combined with expert craftsmanship. Spacious arm-rests frame a plush seat and back. Handcrafted by our experienced Amish woodworkers, the McCoy is a soothing and relaxing place to be! Dimensions: Depth: 38" Width: 33" Height: 43"
Select your favorite book or sit back to enjoy the game in this exceptional piece of Amish furniture! Consider our Amish Ladderback Shaker Rocker for another option.